Sustainable travel | Make sure your next trip is a green one! (FIX | Andra Moore) I was born with the travel bug. As often as I could, I was off visiting and re-visiting places near and far, soaking in sea air, language, and culture. But as my eco-conscience grew, I realized that my growing collection of seashells and jet-fuelled flights might be satisfying my wanderlust at the expense of the environment. Because my wanderlust was simply impossible to ignore, I turned my attention to sustainable tourism. No matter the name, the intent is the same: travel with the lightest environmental and socio-cultural footprint possible to maintain or improve conditions in all communities around the world and ensure their health for years to come. A lofty goal, but with a change in perspective and a little bit of effort, travel can be not only guilt-free, but rewarding in unexpected ways. It all comes down to planning and choices. Let’s start at the beginning. These criteria are not always easy for communities to meet, especially ones that have already invested in unsustainable tourism practices. However, while the list of certified destinations is currently small, it’s growing, along with the popularity of sustainable tourism. And the more popular it becomes, the more incentive there will be to change. 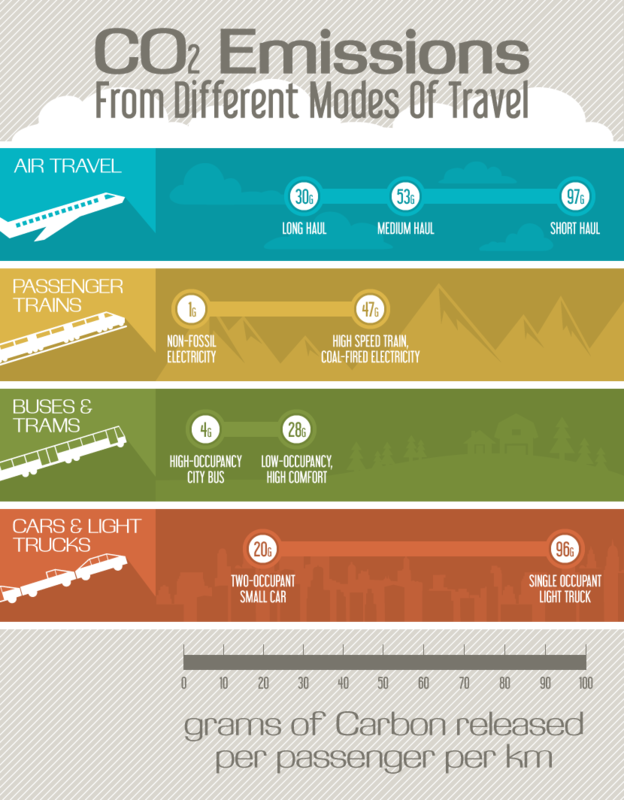 Different modes of transportation have different environmental costs, but it’s the distance, the fuel, and the occupancy that matters when it comes to efficiency. Fuel-efficient trains and buses win the day. Both are great choices for short and long distances, with the added bonus of a view along the way and more central stations for pick-ups and drop-offs. If these aren’t available in your area, small cars are the next best thing and, surprisingly, so are long-haul flights. Flying gets a bad rap, but airplanes become more efficient the longer the flight because high-altitude flying is more efficient. In contrast, hopping onto a short-haul flight is as bad as crossing the country alone in a gas-guzzling truck. When deciding on your next destination, check out all of your travel options and make a case for the slower travel options, and purchase carbon offsets when flying is the only option. Remember that efficiency is one thing, but the amount of carbon emitted will always be higher the further you go. Staycations can be just as exciting with the right perspective and great for the local economy too, including the very local economy – that is, your bank account! Weight can have a big impact on the efficiency of your chosen mode of transportation – there’s a reason you pay extra for oversized luggage! 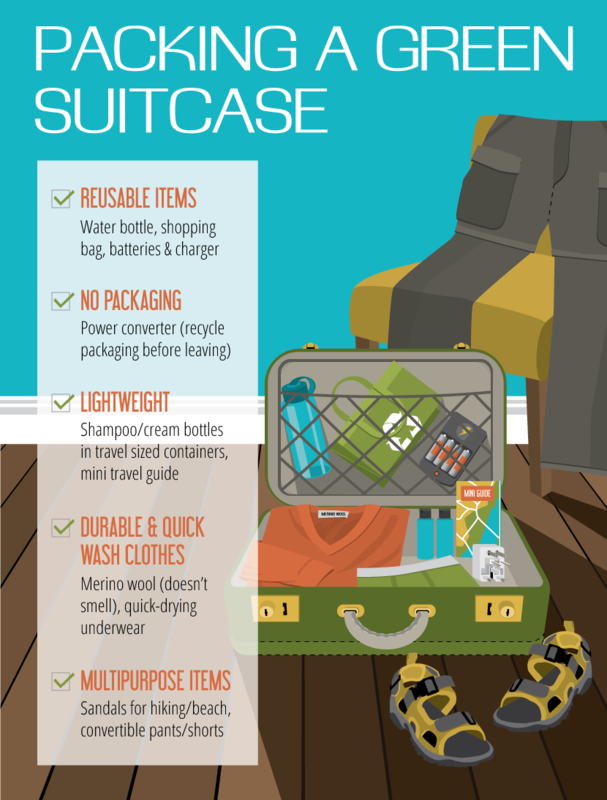 But packing light isn’t the only way to pack green. The key? Eliminate the truly unnecessary, increase the number of multipurpose and reusable items, and minimize the rest. Not only will your transportation be more efficient, but your day-to-day will be too, not to mention how much better your shoulders will feel at the end of the trip. Whether you want to pamper yourself in a fancy hotel and zipline through the jungle or go frugal with a B&B and catch a sightseeing tour, you should always seek out sustainable options. 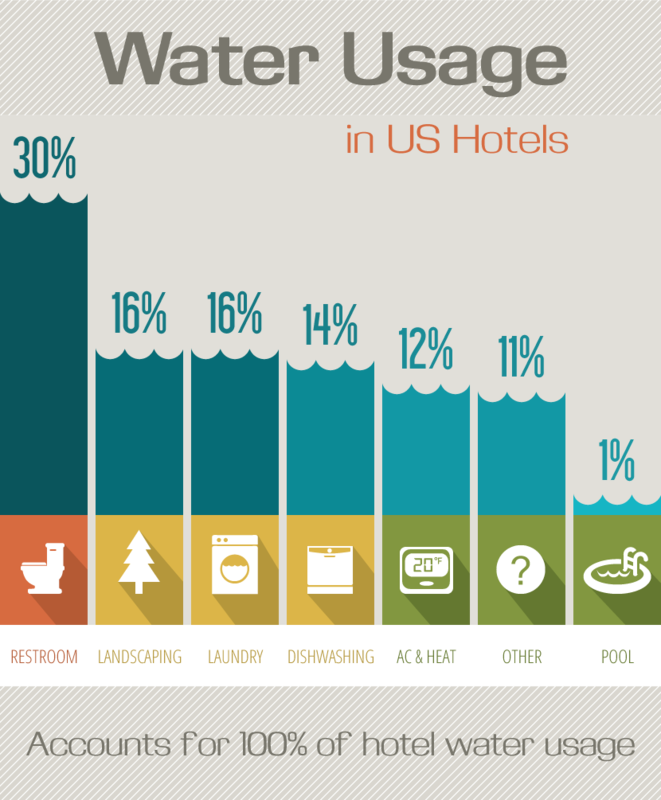 Water is one of the biggest concerns, especially for hotels, because so much potable water runs down the drain for laundry, landscaping, and guest use. In countries where water is scarce, this can be a hugely damaging waste of resources. Fortunately, the GSTC has similar criteria for hotels and tour operators as they do for destinations. They include maximizing social, economic, cultural heritage, and environmental benefits, reducing pollution, and conserving biodiversity, ecosystems, and landscapes. Other reputable organizations like the Rainforest Alliance also have certifications that make finding like-minded businesses much easier. We owe a great big thank you to those organizations and communities that are promoting sustainable travel, but as travelers, our responsibility goes beyond a bit of Googling. 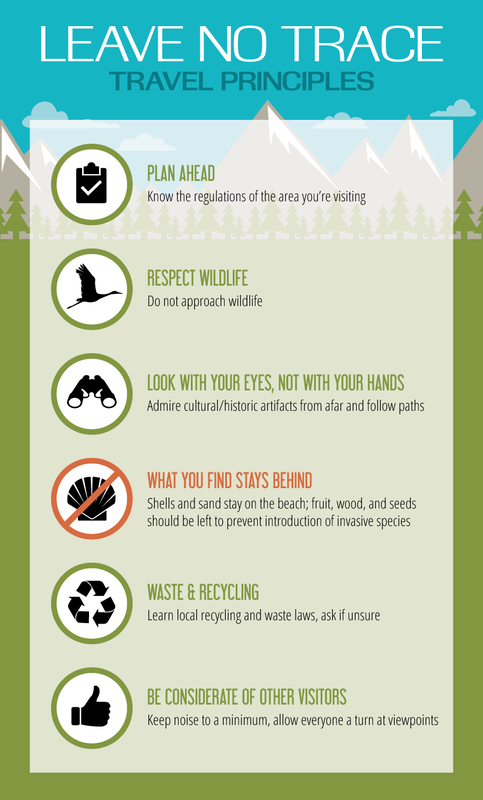 There is a best practice and philosophy in the wilderness community called “Leave No Trace” whose principles reinforce the idea that we should respect and care for our wild areas and do our part to preserve and protect them as we enjoy them. I like to think many of those principles extend beyond backpacking into the ethic of sustainable travel and the inherent responsibility travelers have. Living these principles may seem easy, but when faced with “unique experience” and “once-in-a-lifetime opportunities,” they can be difficult to adhere to. It means saying no to gathering the vial of sand, touching the ancient monument, and swimming with the dolphins. We place a lot of emphasis on touch when it comes to creating memories, but the best ones are intangible. Rely on the sights, smells, and sounds of your environment to develop truly unforgettable and meaningful experiences. Ultimately, choosing to travel sustainably puts us in a place of power, a place where we control how we affect our environment as citizens of the world. And we have more power than we think. Supporting destinations small and large that are prioritizing sustainability over profit will drive change in immeasurably good ways from culture, to community and environment.